I am Katrina Woodrow and have been coaching my patients towards good health ever since 2001 when I qualified as a kinesiologist. 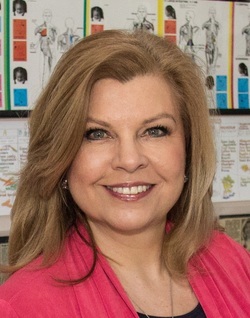 I am a Kinesiology Federation Registered Professional and my aim is to help people suffering from a variety of digestive complaints live a healthier and happier life. We are well acquainted with the phrase "We are what we eat" but we don't always know what is good for us personally, rather than the blanket advice in the national press. When you can't identify the culprit which is making your stomach bloat and causing abdominal pain, it makes life difficult and often miserable. Doctors seem reluctant to relate the food we eat with the digestive problems we present to them, so being able to help people identify and avoid them improves their quality of life. Kinesiology is a type of autonomic response test which uses muscle testing and may give an indication of the nutritional and energetic root causes of these problems, the dietary changes a person can make and the best supplements for that person, if required. Usually in about an hour and a half of 'detective work', it is possible to identify triggers which have been affecting patients' lives for many years and within weeks may be feeling much better. In the words of Hippocrates (historically, the "Father of Medicine"): " ... the physician has but one task: to cure; and if (s)he succeeds, it matters not a whit by what means (s)he has succeeded ... " (circa 400BC). Your privacy is very important to me and your details will not be shared with any third parties and are kept on paper in a locked filing cabinet.